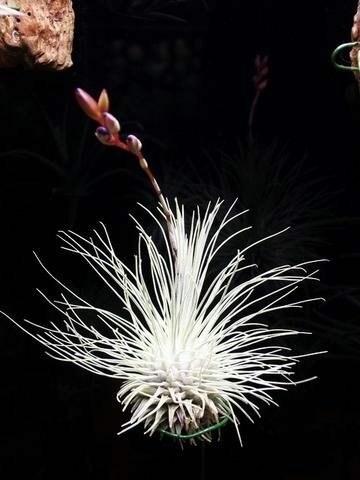 Angraecum distichum - Page 2 - Orchid Board - Most Complete Orchid Forum on the web ! That is a really cool way to grow orchids. Thanks. If you get a chance and have the time, share your wreath with us. Always enjoy seeing different ways of mounting & displaying Tillies. Here is the air plant wreath. It isn't as nice as your set up but, three years ago, I saw a wreath with three air plants on sale in an email from logees and I decided to give air plants a try. The wreath was a little bare so I ordered some other air plants from Amazon (Jan 2016). Last spring, I was feeling discouraged as none of them had bloomed but, then, this past summer...one finally did. Another has just finished this week. The others have been slowly getting larger. Very nice (and creatively mounted). Thanks for sharing. 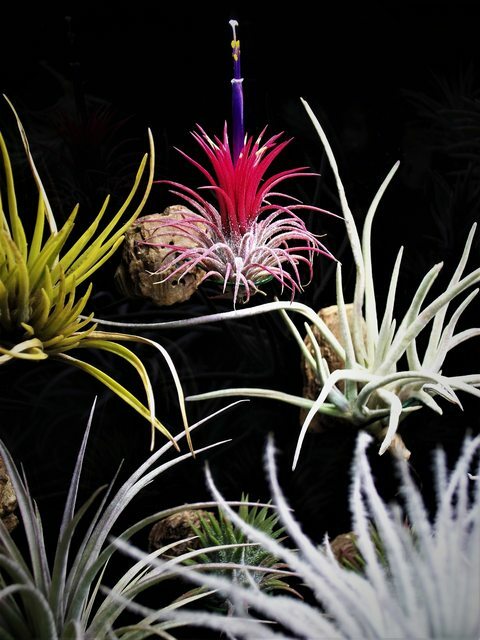 Tillandsia can become a challenge, at times, when trying to figure out how to mount them. I can definitely relate to being discouraged when they don't bloom. I had a T. edithae that took 12 years before blooming. Many species take years to mature and flower... then when least expected... bingo! Fantastic! I am amazed at the variety in the blooms! The leaves, though...they are all very attractive plants even out of bloom. How many different ones are you growing? Fantastic! I am amazed at the variety in the blooms! The leaves, though...they are all very attractive plants even out of bloom. Could not have been said better. The structure & form (especially the different leaf shapes and colors) truly make me very fond of these plants. Just another added bonus when they flower. Been keeping about 50+ different species & a handful of hybrids (as a hobby). Have not bought any for awhile because most of what I am growing are long-lived (and I've been successful at keeping them going via offsets and growing from seed) but no longer have the patience, or time, to propagate by seed. A lot of forums are a bit finicky about promoting sellers and/or vendor reviews. OB is a great forum because they more or less let you tell it like it is (this forum seems to have mature members that reply with adult responses that are truthful and not meant to be profited by, and/or hurtful to anyone). 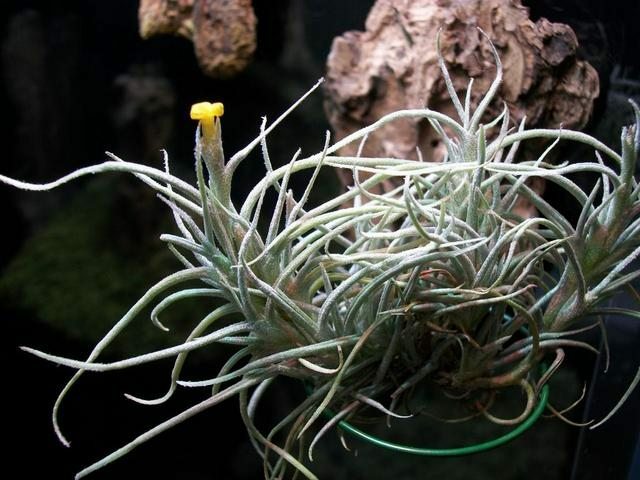 There are a lot of good Tillandsia vendors out there. I guess I could PM you with that information, but am a bit lazy at the moment - hope the mods don't mind and consider the following to be appropriate. I have corresponded with many of the older ones (vendors that have been in it for a long time) over the years, but hesitate to name names... don't really like showing favoritism or promoting someone's business... so on that note (and breaking my own personal rules): a couple of vendors that are getting a solid "toe-hold" with quality plants and customer service - Nathan & Meredith Miller with Air Plant Hub & Chris Davis with Davis Farms Wholesale Tillandsia. Some of the solid older vendors - Paul with RFI, Pam with BRT, Dennis with Tropiflora, Louis with PO, and Andrew with CTS to name a few. CTS it was! I really had a great time on their website and I have fourteen new ones coming! Your setup. I love it. 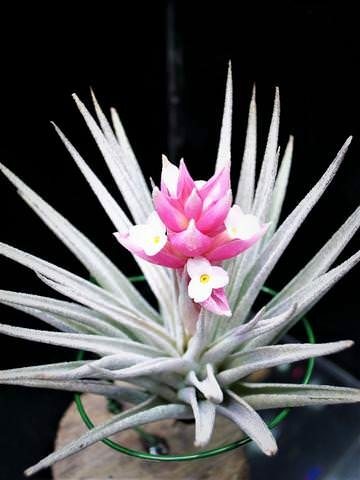 I also love your Tillandsias. I have 8 and they are a joy to grow.